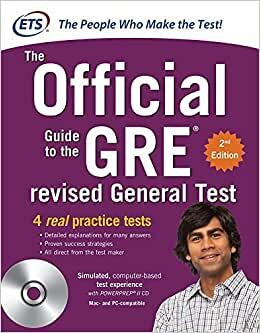 If you're looking for the best, most authoritative guide to the GRE revised General Test, you've found it! The Official Guide to the GRE revised General Test is the only GRE guide specially created by ETS--the people who actually make the test. It's packed with everything you need to do your best on the test--and move toward your graduate or business school degree. Educational Testing Service (ETS) advances quality and equity in education for people worldwide by creating assessments based on rigorous research. ETS serves individuals, educational institutions, and government agencies by providing customized solutions for teacher certification, English language learning, and elementary, secondary, and post-secondary education, as well as conducting educational research, analysis, and policy studies. Founded as a nonprofit in 1947, ETS develops, administers, and scores more than 50 million tests annually--including the TOEFL and TOEIC tests, the GRE tests, and The Praxis Series assessments--in more than 180 countries, at over 9000 locations worldwide.